When Undead Labs released State of Decay on Xbox LIVE Arcade back in 2013 it became a huge commercial success and one of LIVE’s bestselling games. Thanks in part to a stirring pot of different mechanics, the game offered a welcome alternative for console owners who didn’t quite have the means to play a PC zombie survival game like DayZ. State of Decay: Year One Survival Edition brings that experience to the Xbox One with a visual upgrade and extra content, like new weapons and vehicles. Coming packed with the "Breakdown" and "Lifeline" DLCs, there’s a whole lot of content here, although a lot of bugs came along, too. 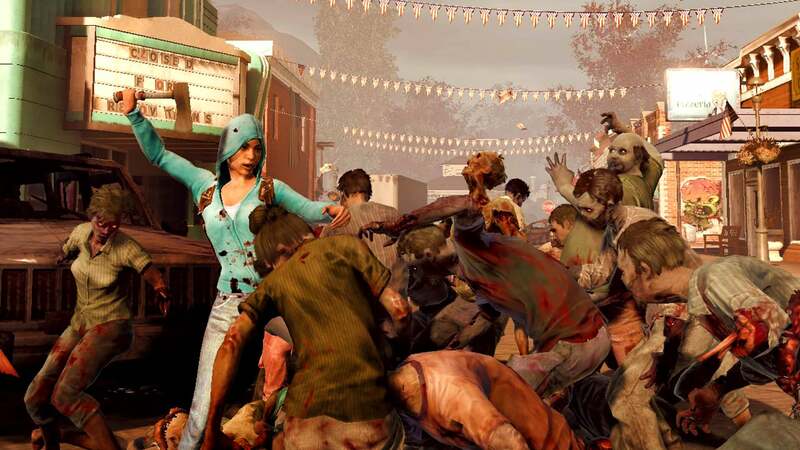 State of Decay begins as suddenly as you’d expect from a zombie apocalypse. You’re immediately handed control of the first player character, Marcus, and thrown a couple of zombies to deal with using the bare minimum of resources. This first sequence symbolizes the constant threat that the player faces throughout the entire game. 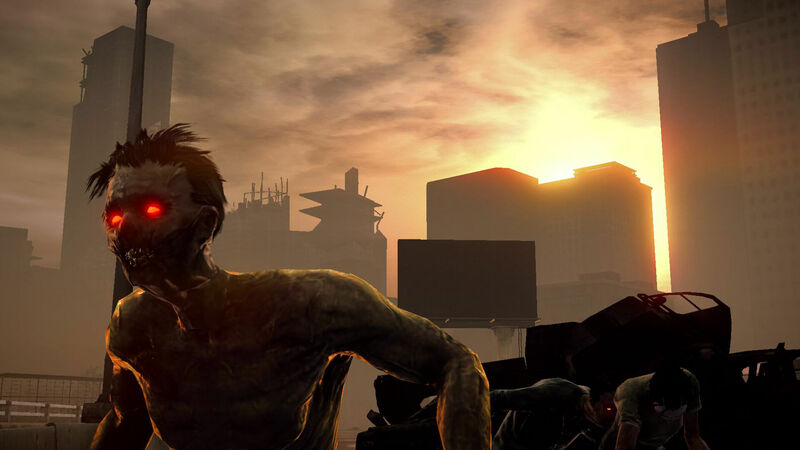 State of Decay’s permadeath makes every encounter with the undead a tense one. Going into the game with the idea that you can hack through hundreds of zombies with no problem is setting yourself up for a rude awakening. It’s very easy to get yourself surrounded, but not always a breeze to get yourself out. The survivors in State of Decay are not super human. You can’t heave around a dozen weapons and hundreds of pounds of equipment. Your lifeblood, aside from your actual health, is stamina. Everything from sprinting to hacking off undead limbs takes stamina, and if that supply completely depletes then it becomes difficult to outrun or fight off zombies. While snacks and painkillers can replenish stamina and health on the fly, sometimes things get a little too chaotic for it to be effective. Everything you do in the game revolves around protecting your survivors by managing their conditions, but things don’t always work out. With just one mistake I watched as a character I’d spent time leveling up was thrown through the air by a juggernaut zombie and then swarmed by a pack of regular zombies. This was the only character death I dealt with, but it sucked nonetheless. It was a failure - the community had lost a survivor and I had lost an investment of time that was spent making the character (Maya, in my case) the best she could be. The reality that she was lost forever stung for quite a while. But that was the result of me being too reckless in thinking that I could take on a juggernaut with a minimum amount of ammo and a vehicle as a battering ram. I was sorely mistaken and I paid the price with the life of one of my survivors. That only covers survival in the individual sense, though. In State of Decay you are responsible for micromanaging the well-being of an entire community of survivors. Basic human necessities like food and medicine, along with materials for survival such as ammo and building supplies, are always in demand. While progressing through the story, constant attention to the resources in stock and what needs to be resupplied is always necessary. In between story and side missions the main goal is always to get out and scavenge for more supplies. The map itself can be traveled in just a few minutes by car, but there are hundreds of lootable locations scattered throughout. Every location has several different containers to search through. The items of high value are the rucksacks filled with materials that your colony so desperately needs to stay afloat. Building materials in particular are used to build and upgrade facilities such as Sleeping Areas, Storage Areas, a Watch Tower, etc. Since you micromanage everything concerning your community, that also means keeping everyone in good spirits. This can be as simple as upgrading the Sleeping Area so that there are enough beds for everyone, or taking someone out to kill zombies and blow off steam. By far State of Decay’s best quality is just how deep the inventory, home building, and community systems get. While rucksacks are important for the community as a whole, finding individual items is important for your own survivor. Every item carries a certain amount of Influence, which serves as the game’s currency. As a new survivor, you can’t just walk into a community and take the best weapon and items. You have to earn it first. By bringing back supplies to store in the community locker, you earn Influence which can then be recycled for the items you actually need. Influence points can also be used for other services that friendly neighbors provide, which really comes in handy when in tight spots. 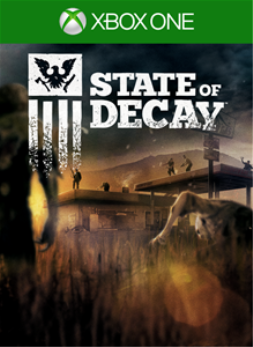 Both the "Breakdown" and "Lifeline" DLCs offer a unique spin on the base State of Decay experience. "Breakdown" turns the game’s constricted story into a wide-open sandbox mode with the objective being to survive for as long as you can. "Lifeline" on the other hand completely leaves Trumbull County behind for the city of Danforth. Instead of playing as civilians, you take on the role of a military unit that is tasked with getting VIPs out of the city. This not only provides a different take on how things unfold, seeing as how the military’s point of view is rarely the focus, but it also starts players off with an arsenal of weaponry that really changes up the way you play. Both are nice touches of extra content to pad the main story. 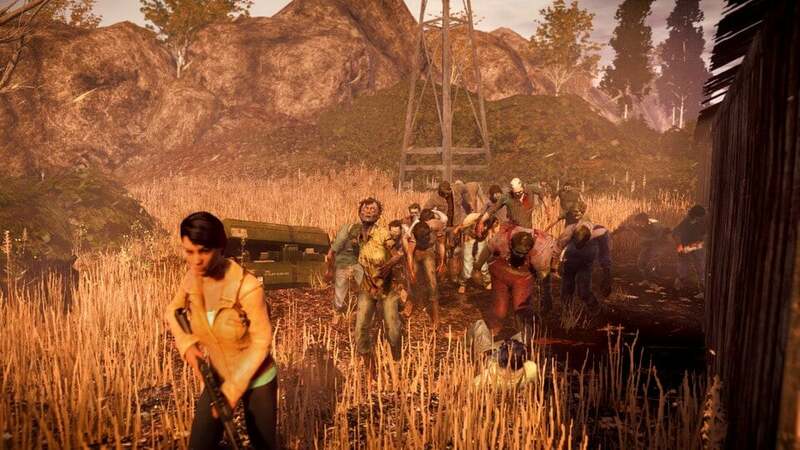 State of Decay’s one major flaw is the continual problem of bugs and glitches. Zombies and survivors alike often phase into walls and pass through doors, and in general, can get stuck on just about any physical surface. The bigger problem is when vehicles unexpectedly glitch out and create the possibility of leaving you exposed. On one such occasion, my car shot into a 45 degree angle and got stuck on a house when I was clearing out an infestation. Since I couldn’t get it to unstick, I had no other choice but to jump out into the mob of undead and by sheer luck was able to get away. While these glitches are never enough to break the experience, they shouldn't be so prevalent in a game that (in the previous generation) received patch support and many bug fixes. 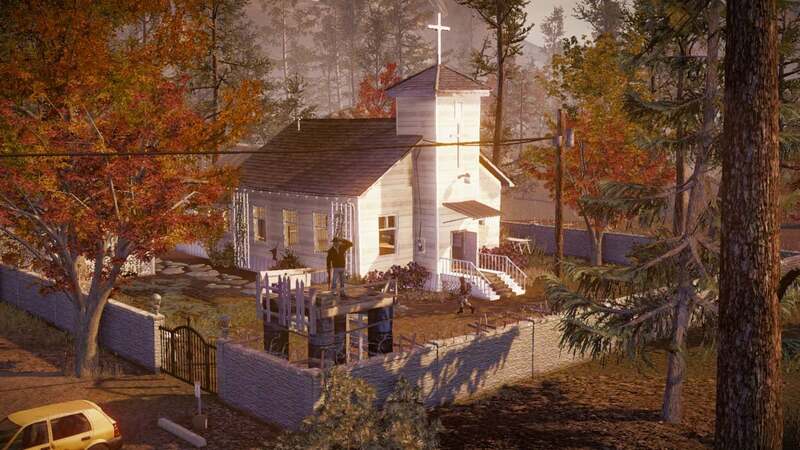 The achievements in State of Decay are spread evenly amongst the core game and two DLCs. In terms of "story-related" achievements, they mostly appear in the "Lifeline" DLC, although the Wired for War and Under Siege achievements put an emphasis on playing as the military. The "Breakdown" achievements will probably give players a harder time, as many are based on getting to higher levels, which increases the difficulty as you go. The Mercenary achievement, for example, requires you to kill five juggernaut zombies on "Level 5 or Higher", and juggernaut zombies are hard enough to kill without the difficulty being raised. There are also achievements based on improving your survivor's skills, like cardio, which is a nice reference to Zombieland. That being said, most of the achievements are based around completing everything there is to do in the game, so for players who are willing to put forth the time investment there shouldn't be too much of a problem going for the completion. The reviewer spent over 16 hours playing and finishing the story and delved into both of the DLCs. 38 of the game's 72 achievements were unlocked in the process. A copy of the game was provided by the developer for this review.